Biosorb is a calcined naturally occurring, free flowing ceramic granule for the conditioning of sand, soil and composts. It works by increasing percolation rates and improving aeration on free draining soils with a low CEC. Biosorb should be used after coring, during construction or renovation. Rubber Crumb is an innovative way to reinforce turf, this product should be used when the grass is actively growing and applied after tining or spiking. It needs to be worked down into the holes where it will help eliminate compaction, aid growth, improve drainage and reduce wear. Energise contains menefee humate (a natural humic acid). these soil conditioners improve The soil structure helping to maintain optimal quantities of air, water and nutrients. A new range of high quality liquid seaweed that provides a food source to stimulate bacteria and fungal life. It should be used as a soil conditioner and plant growth stimulator. Prestige Green Seaweed soil conditioner contains seaweed extract plus iron. This helps to harden turf, prevent leaf yellowing and give a superb green colour. Prestige Super 30% Seaweed releases locked up nutrients. A concentrated 30% liquid seaweed formulation provides excellent soil conditioning & plant growth. 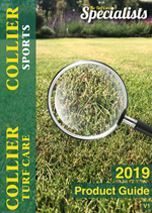 A natural based, balanced, low analysis, winter soil conditioner containing slow release nutrients and specific plant extracts that increase microbial activity and boost plant health and reduce turf stress.